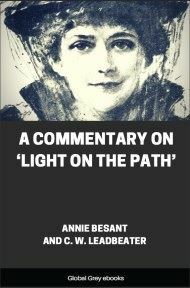 A series of lectures by Annie Besant. 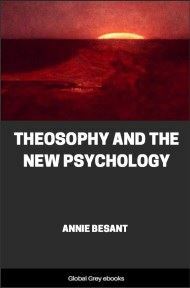 Chapters include: Manifestations Of Super-human Beings In Our World; Saviours Of The World, Or World-Teachers; "The Christ In Man"; The Restoration Of The Mysteries; The Conditions Of Intellectual And Of Spiritual Growth; and, The Policy Of The Theosophical Society. I ought almost, I think, to begin with an apology for offering to you a very large subject in a most imperfect form. 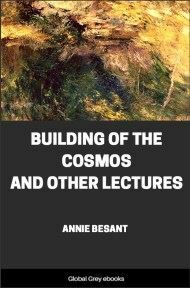 I had planned to place before you the whole question of Super-¬human Beings manifested in our world in a course of six lectures, so to some extent perhaps touching on the main points of the subject, and making intelligible possibly to you some of the obscurities of the past. I have been com¬pelled, not by my own will, to change the course of six lectures in London into two, and I can only try to place before you tonight something of the general forms of manifestations and of the great realities that lie behind those forms, and then, next Sunday evening, to point you to the future rather than to the past. Basing upon what has happened in the past the possi¬bilities of the future, I shall try to indicate to you some of the greatest of those possibilities, the restoration to our world and to religion of those great Mysteries which have ever been the life of religion in the past, openly in its life during thousands and tens of thousands of years, existing still today, although withdrawn from the common knowledge of men, to come back to our world as soon as men are ready for and desire their restoration. For ever the barrier between the spiritual and the physical does not lie in the spiritual world; it lies in the physical world, the habitation of mortal men; for the life of the Spirit, which exists in forth¬-giving, is ever striving to pour itself into our mortal world; but we erect barriers, we create obstacles, we hinder the free flow of that beneficent, that glorious life. Only as we build up in ourselves the spiritual vessels that are able to receive it, will the old stream of spiritual life pour forth again abundantly upon our world, not only on individuals who prepare themselves for its reception, but on the great masses of those who follow the religions of the world, on the great masses of all who seek to make their life serviceable to their generation, to the world in which they are. But for this evening our eyes turn backwards to the past, seeking whether in that past we can find any guarantee of the hope which gleams in the future. Now, as we turn back the pages of history we find civilisation after civilisation succeeding each other. Students of ancient literature, students of those old books which have come down from a past which seems to us perchance hidden in the night of time, have found records of civilisations mighty and great, apparently permanent and secure, but which have so utterly passed away from ordinary human thought that in modern days men dis¬believed in their existence, and thought the stories in the ancient books were but legends, fables created by national pride in order to glorify their own past, not records of historical facts, not pictures of civilisations that really existed on our earth. 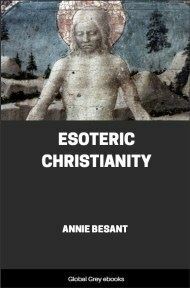 These ancient books, it is true, were corroborated now and again by what is called occult research. Men and women who had developed in themselves certain powers not yet general in our race have claimed that by the exercise of those powers they could read records of the past existing as pictures in matter subtler than the physical, as men with physical eyes can read the printed page. But in a time like our own, when Occultism is only now beginning to make its way among men, an age in which Mysticism until lately was regarded, in the high opinion of the Times newspaper, as an “exploded superstition”, so that it marvelled that a man so eminent as the Dean of St Paul’s should think it worth while in the twentieth century to give lectures on such a superstition; in our age, when Occultism and Mysticism are again beginning to claim the attention of the thought¬ful and the earnest, there is more probability as the years roll on that the records of the past, as read by the Occultist, will again take their place as subjects of study among men. Until quite lately - nay, I hardly know whether I dare say until - those records have been scoffed at by the foolish, have been ignored by the learned; but, as you know, during the last half, and even more, of the nineteenth century, a new light came into the arena of human thought, and antiquarian research, spreading widely and digging deeply, began to unveil fragments whose existence could not be denied, fragments of ancient civilisations. And step by step as archaeology advanced, step by step as ex-cavation succeeded excavation, it was found that physical research was confirming the legends of the ancient literature, was verifying many a statement made by occult research¬ - stories of such a one as King Minos of Crete, stories of such a one as Menes of Egypt, stories running back into ancient Babylon. Those were brought to the light of day, not in ways that could be challenged, not in forms that could be denied, but in matter solid enough to knock a man down with, so that a man could be sure that it existed - in libraries made of ancient tiles which had long outlived their makers, in fragments of ancient architecture from city after city buried one below the other, and each succeeding city shut off from its predecessors by ruins, by solid earth which intervened between each pair. In these ways, ever being confirmed by new investigations, by these physical methods which appeal to the physical mind of men, the existence of those old civilisations was proved, and none now ventures to deny that well-nigh endless past of civilised man. 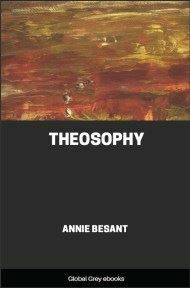 One thing came out strongly, a surprise to the thinkers of the last century. Quite natur¬ally, the great doctrine of Evolution applied to human history resulted in a certain theoretical building up of the past which appealed to the human mind and seemed logical and even necessary. The elder amongst you must remember how we read of the growth of civilisation, how we were told of families of savages who joined together into tribes, of tribes who linked themselves together into communities for mutual assistance and defence, of communities building themselves up into nations, and so on step by step, millennium after millennium, until from barbarism civilisa¬tion arose, just as in the corresponding domain of religion the ideas of the savage, the animistic ideas of the barbarians, were held to be the origin, the source, of all the religions of the world. But, however natural that view was, it was found not to square with facts.